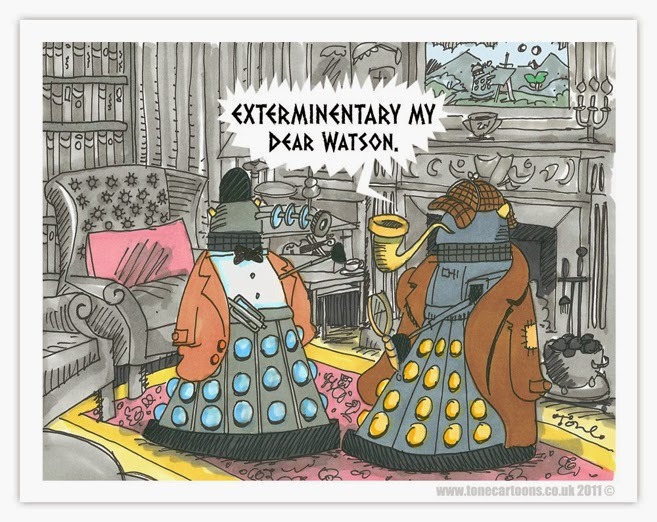 These days social media seems to be awash with fans clamouring for a Doctor Who / Sherlock crossover (or at least this seems to be the case in the small section of the web that I generally frequent). 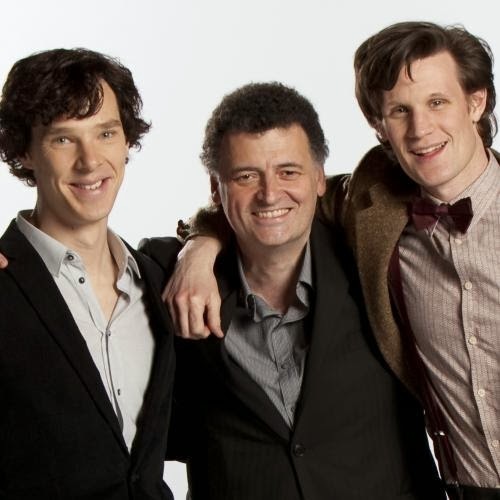 With writer Steven Moffat firmly having a finger placed in both pies the pairing seems tantalisingly close to some. A quick Google search can show the extent of this, with one fanfiction site I found having over a thousand of crossover stories on it. Am I alone in thinking that a TV crossover story would be a terrible thing? Don't get me wrong, I love both series but I just can't see how they could possibly work together. To have the Doctor enter Holmes' world would only end up revealing a universe of things that the great detective is completely ignorant of and to my mind it would make him appear inferior by comparison (a frightening thought for any Sherlockian). I suppose the most likely way for Moffat & Co. to do a crossover would be as a sketch for Comic Relief. I think this would be preferable to me as it wouldn't interfere with the canon of each show as much as a full episode undoubtedly would. Although if a comedy crossover were to ever happen I think they have missed the boat by not doing it during Matt Smith's tenure, as his Doctor was adept a comedy. I envision that (or perhaps I should say 'I hope that') Peter Capaldi's reign will be a good deal darker than that of his predecessor. I'm not completely against it, they just seem worlds apart to me. I mean I like fish fingers and I like custard, but only a mad man with a box would want to put the two together.